Last year we established close links with Manchester United Football Club, Lancashire County Cricket Club, Sale Sharks Rugby Union and Salford Reds Rugby League. Through these links we are given PE lessons from the clubs’ expert coaches as well as equipment and festival invites. We have also sent children to local sports clubs such as North Trafford Athletic JFC, Urmston Meadowside Girls JFC, Stretford Cricket Club, Trafford Athletics Club and North Trafford Titans Rugby League Club where they can continue the progress they have shown in school. We are building on these trying to link up with other local clubs in as wide a variety of sports as possible. If you have any suggestions please tell Mr O’Neill or one of the sports leaders. 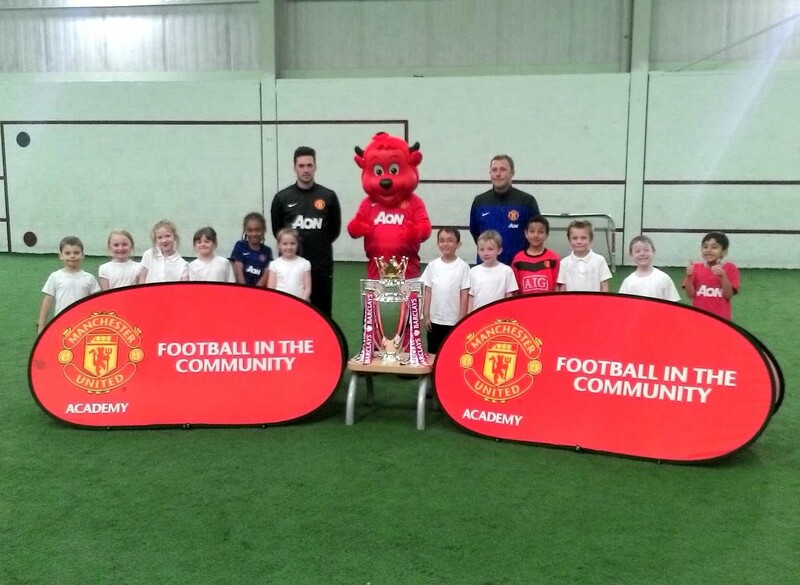 Year 2 learning new skills at Manchester United!